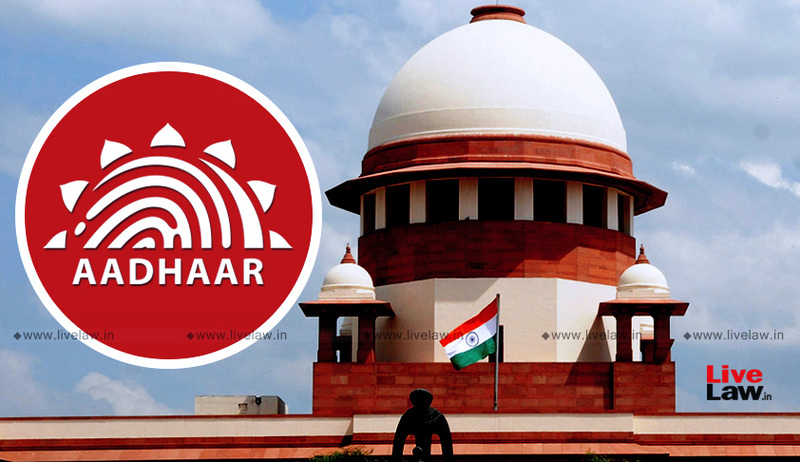 A review petition has been filed in the Supreme Court of India challenging its upholding of the Constitutional validity of Aadhaar in Justice K.S. Puttaswamy (Retd.) v. Union of India & Others. The impugned judgment was authored by Justice AK Sikri, with the concurrence of Chief Justice Dipak Misra and Justice AM Khanwilkar. It had read down certain provisions of the Aadhaar (Targeted Delivery of Financial and Other Subsidies, Benefits and Services) Act 2016, struck down a few significant ones (mainly Section 33(2), 47 and 57), and had upheld the rest. A review petition has now been filed by Imtiyaz Ali Palsaniya, through the office of Advocate-on-Record Pallavi Pratap and has been drafted by Supreme Court lawyer Nipun Saxena. This petition challenges only those aspects of the Aadhaar program as well as the Aadhaar Act, 2016 which were held to be constitutionally valid. It draws the court’s attention to Section 2(k) of the 2016 Act, which prohibits any person from parting with any information pertaining to one’s “income”. It then points out that the court failed to analyse the scope of this provision while upholding Section 139AA of the Income Tax Act, 1961, which makes it compulsory to link PAN Card with Aadhaar. The judgment, it says, does not apply properly the test laid down by it in the same verdict, that Aadhaar should only be sought for a benefit, subsidy or service. Filing of Income Tax Returns under Section 139AA of the Income Tax Act, 1961, it then asserts, is neither a benefit, nor a subsidy or service. The petition submits that before April 4, 2016, which is only seven days after the Aadhaar Act, 2016 came to be enacted, 100 Crore individuals had already enrolled with the Aadhaar program. It then contends that the sensitive personal data already with private entities or body corporate should also fall foul of the interpretation accorded to Section 57 of the Aadhaar Act, 2016. The petition points out that the judgment fails to direct private players and corporate bodies to collect the sensitive personal data already in their possession. It alleges that since the judgment does not consider the distinction between a citizen and a resident, all the benefits, subsidies or services that are solely the rights of the citizens are being given away to residents who are not citizens.